To keep track of what is happening on your website you can visit the Monitoring section. This page provides lists of bids made, messages, ratings or reports allowing you to manage them if needed. This section shows a list of bids made by users showing additional information such as the type of the bid, the date when was made or the user who did it. Displays a list of messages sent by users on the auctions. It shows the sender and the receiver of it and if required, you can choose to unpublish or delete the respective message. Auctioneer to bidder and vice versa ratings can be seen in the Ratings & Reviews area of the admin. You can see the review wrote along the rating and the auction where the rating took place. Any review can be deleted. In the Reported Auctions area you can manage the reports made by writing messages to the auctioneers in question or edit their auctions. These are auctions that users have viewed as inappropriate and have reported. You can see the date when the report was made, a message which describes the reason of the report, the title, if it is in progress or if it has been solved. After the issues are resolved you can change the status to Solved. Version information and if any update is available can be found in the About page. 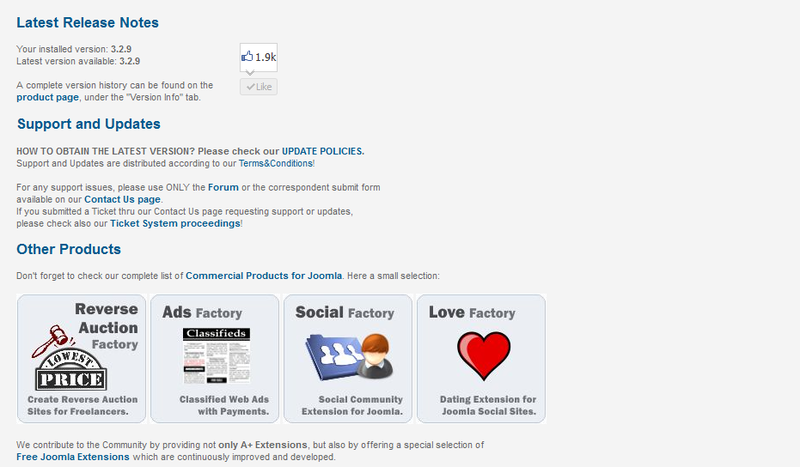 You will also find links to the developers and other extensions by theFactory.